Schedule a lesson now! Select a session type, location and instructor, click a date, and hit search to see their availability that week! With our award winning live scheduling tool, you can book for today or a month from now in just a few clicks! Our schedule is always kept updated to the minute to make scheduling a tennis lesson effortless: just select an open time and show up, no calls or court reservations necessary! Our tennis pro will be there waiting for you! Gift Card Deals for the New Year 2019! Have you already purchased a Promotional Class Package on another website? Email the Purchaser’s Name, Redeemer’s ID, Package Type & Redemption Code to: Roger@BeverlyHillsTennisAcademy.com. 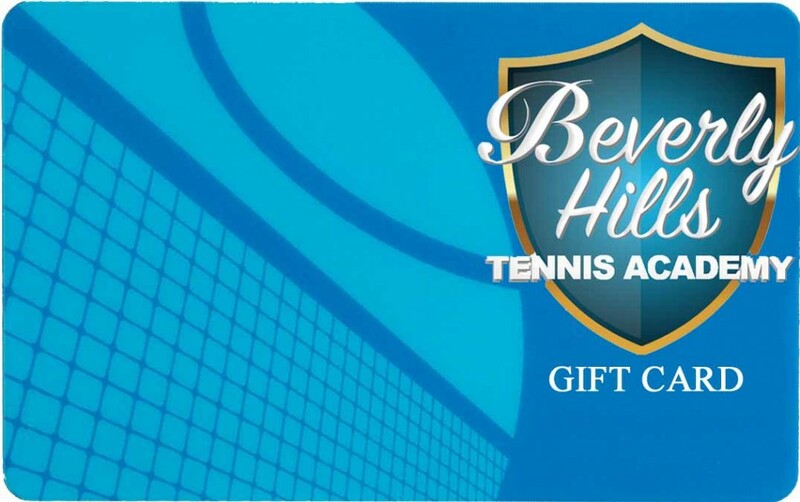 Beverly Hills Tennis Academy will credit your account with your purchase and email to notify you. Most people purchase a minimum of 4 hours to start so I have enough time to look at your game and make a few quick fixes or develop a plan based on your goals. If for some reason you aren’t happy, Beverly Hills Tennis Academy can switch you to a different coach. If they can’t find a coach you like, they will refund you the remaining lessons. But if you would still like a trial lesson you can call 3105927613 to set one up. I get the weekly emails. Am I a member? Yes, we will get a weekly email for you as a members with promotions, events news and tips to improve your tennis game. How can I find out if I am a Current Member? Sed ut perspiciatis, unde omnis iste natus error sit voluptatem accusantium doloremque laudantium, totam rem aperiam eaque ipsa, quae ab illo inventore veritatis et quasi architecto beatae vitae dicta sunt, explicabo. Nemo enim ipsam voluptatem, quia voluptas sit, aspernatur aut odit aut fugit, sed quia consequuntur magni dolores eo. All cancellations must be submitted at least 48 hours prior to scheduled. All cancellations within 48 hours of a scheduled class are subject to a ‘no show’ fee up to the full price of the class. By cancelling at least 48 hours, you will not be charged a ‘no show’ fee. Early cancellations can be completed via your Beverly Hills Tennis Academy account, email, call with at least 48 hours notice. What are the membership levels and how much are they? Beverly Hills Tennis Academy can provide several options in your local area that will be convenient for you. Because it will keeps you more in touch with your game, it will keep you update in the world of tennis and you will save more in your tennis lessons. Our coaches will be here for you if you have any questions about diets, mental and physical strength to prepare before your tennis match or to recap after your tennis match. Also, As a member, you will be able to play in the tennis members tennis tournaments, get together to watch a tennis match while all member chit chat over a meal or healthy drinks. there will be trips to go watch one of the grand slams tournament like the Australia Open, French Open, Wimbledon or the US Open! Or If members do not feel like traveling far away, then, the UCLA Pro Tennis Tournament or Indian Wells BNP Paribas will be the way to go in order to understand the concept of playing one point at the time and to see from a close up and personal how the pro players use the geometry of the tennis court in order to maximize their opportunities to win a match. Our goal is to create a family with in the Beverly Hills Tennis Academy to support each other and to enjoy the world of tennis while they watch it or play it. If it rains we’ll reschedule for a sunny day! It won’t be counted as one of your lesson credits. 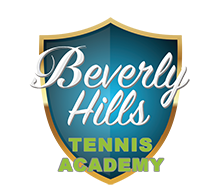 If a class must be cancelled, Beverly Hills Tennis Academy will notify enrolled students at least two hours prior to their scheduled start. Weather can change during the day and in different parts of Los Angeles. If you have registered for a class and Beverly Hills Tennis Academy has not contacted you, do not assume a rain cancellation. To confirm, check Roger for cancellations, or call +1(310)592-7613. If a prepaid class is cancelled or rained out during class, you will receive a credit for a make-up class. All sales are final and good for one year. Court availability is limited and Classes missed outside of our cancellation guidelines cannot be refunded, rescheduled, transferred or credited in any way.